It was a Beachin' Day! August 30 was a beach day for the Miss Universe 2011 contestants. They went to Guarujá to enjoy the Casa Grande Hotel facilities and the Enseada Beach. At night, the contestants went to party at the Royal Club. You can see pictures of the activities here! On Monday, a group of contestants of Miss Universe 2011 played soccer at the Pacaembu Stadium where Costa Rica was the standout of the event. Another group went to the Escola de Moda to learn more about sewing techniques. Meanwhile, some of the contestants went Club de Campo in São Paulo to play some golf and for horseback riding. The Pobre Juan Restaurant in Higienópolis was the lunch venue for the contestants. In the afternoon, the contestants visited the headquarters of Rede Banderantes, main sponsors of Miss Universe 2011. You can see pictures of all the events here! Photo/Miss Universe Organization L.P., LLLP. 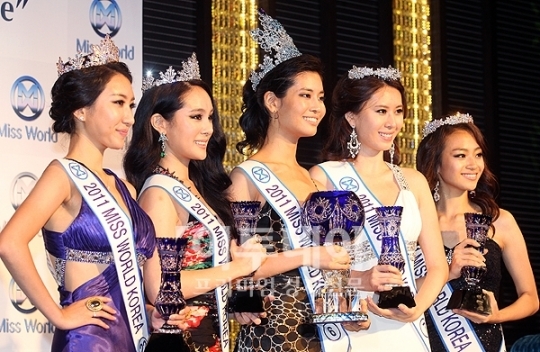 SEOUL, Republic of Korea - Do Hyeong Min (20, 1.75m) won the inaugural Miss World Korea 2011 pageant held at the Crystal Ballroom of the Banyan Tree Club and Spa in Seoul. She will represent Korea in Miss World 2011 in London, England on November 6. Sung Min Kim and Min Ji Park finished second and third, respectively. Ae Young Youn and Hye Won Kim completed the Top Five. KATHMANDU, Nepal - Malina Joshi (23, 1.69m, Dharan) was crowned as the new Lux Hidden Treasure Miss Nepal 2011 at the Tribhuwan Army Officers' Club in Kathmandu. 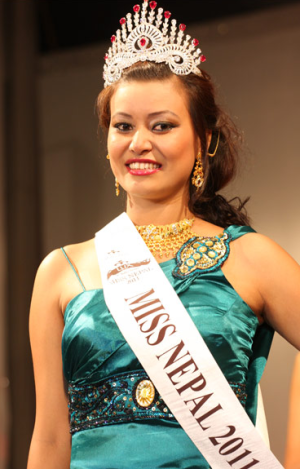 She will represent Nepal in Miss World 2011 in London, England on November 6. Anupama Gurung was the first runner-up and Sarina Marskey was the second runner-up. Manisha Bista and Neha Paudel completed the Top Five. Sarina Marskey will go to Miss International 2011 in Chengdu, China. The Miss Universe 2011 contestants continue to experience uniquely Brazilian activities such as riding bicycles and watching race cars (right...). They started their day with a visit to the Autódromo de Interlagos to watch the GT Brasil car racing series. Then, all contestants went biking to the Parque do Ibirapuera. The day finished with a dinner at the luxurious Restaurant Arola Vintetres at the Hotel Tivoli São Paulo Mofarrej. 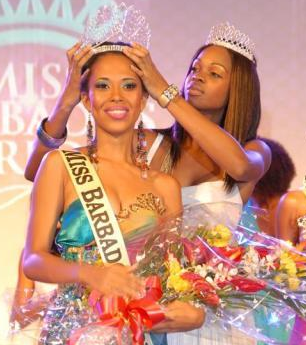 NEEDHAM'S POINT, Barbados - Taisha Carrington (18) was crowned Miss Barbados World 2011 at the Hilton Barbados in Needham's Point. 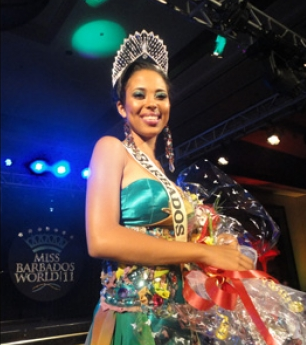 She will represent Barbados in Miss World 2011 in London, England on November 6. 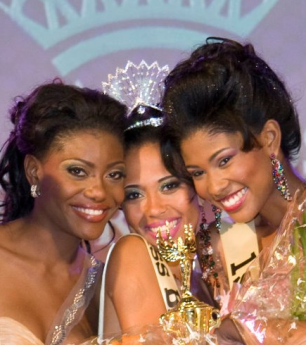 Sedia Jackman was the first runner-up and Lyngeolle Morris was the second runner-up. 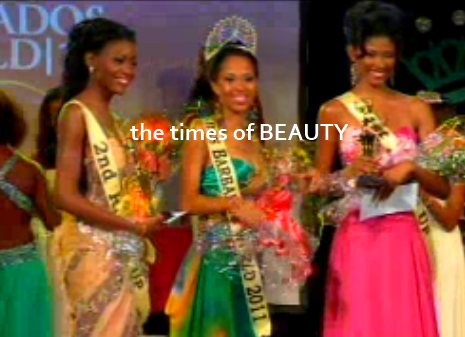 This was the first edition of Miss Barbados World under the direction of Leah Marville. The winner of the Talent competition was Nichola Maynard. Second place went to Taisha Carrington and the third place went to Marielle Wilkie. Lyngeolle Morris won the Fitness competition. Dianne King and Taisha Carrington completed the Top Three. The Beach Beauty award went to Taisha Carrington. Paige Warren and Sedia Jackman were the runners-up. 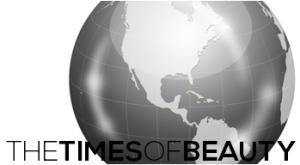 Marielle Wilkie won the Beauty with a Purpose award. Dianne King and Lyngeolle Morris presented the other two of the three best charity projects. The Miss Universe 2011 contestants visited Atelier Gourmand Gastronomic School to take cooking classes and learn to make local specialties. Afterwards, they all went to the Jockey Club de São Paulo to watch horse races before returning to Hilton Morumbi. At night they went to party at The Society Club. You can see the pictures of these activities by clicking here! You can see the official Miss Universe 2011 contestants headshots (here), swimsuits portraits (here) and evening gown portraits (here) in our photo galleries. SINTRA, Portugal - Bárbara Franco (19, 1.74m, Ribeira Brava) was the grand winner of the Miss República Portuguesa 2011 pageant held at the Olga Cadaval Cultural Center in Sintra. She was crowned Miss Mundo Portugal 2011 and will represent Portugal in Miss World 2011 in London, England on November 6. Patricia da Silva finished in second place and will represent Portugal in Miss International 2011 in Chengdu, China. Bety Rodrigues, Raquel Martins, Morgana Nogueira and Joana Moreira completed the Top Six. GOL, Norway - Anna Larsen Zahl (23, 1.70m, Sortland) was crowned Frøken Norge 2011 at the Storefjell Resort Hotel in Gol. She will represent Norway in Miss World 2011 in London, England on November 6. 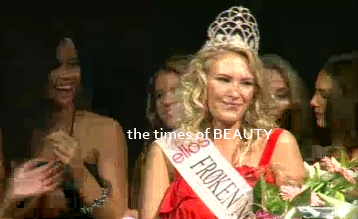 She succeeds Mariann Birkedal who finished in sixth place in Miss World 2010. Fay Teresa Vålbekk was the runner-up. 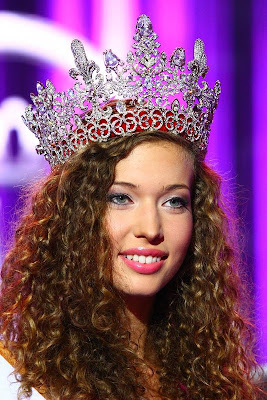 PŁOCK, Poland - Angelika Ogryzek (19, 1.76m, Szczecin) was crowned Miss Polski 2011 in the city of Płock. She will represent Poland in Miss World 2011 in London, England on November 6. Amanda Warecka and Marta Kownierowicz finished second and third, respectively. Justyna Karłowska and Ewelina Radgowska completed the Top Five. 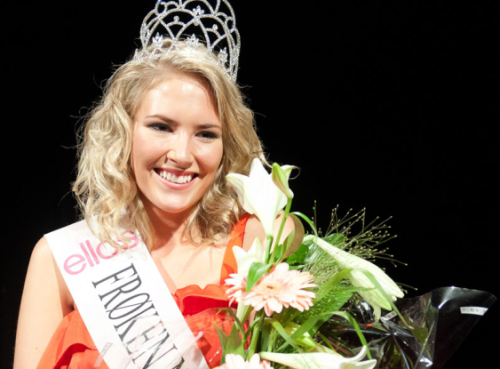 MELBOURNE, Australia - Amber Greasley (18) was crowned Miss World Australia 2011 at the Citiclub on Queen in Melbourne. She will represent Australia in Miss World 2011 in London, England on November 6. Mietta Gornall and Jade Cara finished second and third, respectively. The Miss Universe 2011 contestants had quite a day in São Paulo. They visited the Prefecture of São Paulo to meet mayor Gilberto Kassab. Following the visit, all contestants went to take some Samba classes at the Sociedade Rosas de Ouro in the Freguesia neighborhood. Then it was shopping time, and all delegates visited Rua Oscar Freire which is considered one of the most luxurious streets in the world with upscale stores. The day ended with a visit to the Sala São Paulo concert hall to watch a choir performance. Of course, you can see the gallery with hundreds of pictures by clicking here!